Two findings emerged in a new national poll that I commissioned on fatherhood and faith: the younger the generation, the more people report having difficult relationships with their fathers. At the same time, the younger generation reports the highest percentage of people who are struggling with belief in God. I’m wondering: are these findings related? The poll itself can’t prove or disprove a direct correlation between those findings. Certainly, there are a lot of factors that influence a person’s belief in God. But in my case — and in many others I’ve seen through the years — a person’s relationship with their earthly father can influence whether they’ll be receptive to a heavenly Father. I commissioned the Barna Group to conduct the poll in conjunction with my new book, The Case for Grace, in which themes of faith and fatherhood are intertwined. In the book, which came out this week, I describe my own rocky relationship with my dad, which was one of the factors that moved me toward spiritual skepticism. I was an atheist for much of his life, until a nearly two-year investigation of the evidence for Christianity prompted me to become a Christian in 1981. 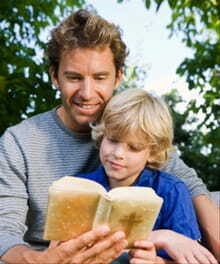 • The younger the responder, the more likely they are to report difficulties in their relationship with their fathers. Among the Elder generation (ages 69 and up), 15 percent said they had a poor or below average relationship with their dad while growing up. For Baby Boomers (ages 50-68), the number was 17 percent; for Gen X (ages 31-49), it was 22 percent. And for Millennials (ages 18-30), the number grew to 26 percent — or one in four. • More than one-third of Millennials are struggling with belief in God, compared with one-quarter of Gen X and one-fifth of Baby Boomers and Elders. Put another way, 62 percent of Millennials are certain God exists, compared with 74 percent of Gen X, 82 percent of Boomers, and 79 percent of Elders. So two findings can be identified. First, a higher percentage of Millennials report having subpar relationships with their fathers than previous generations. And second, a higher percentage of Millennials are uncertain or doubtful that God exists, compared to older Americans. While this particular survey can’t establish for sure whether there’s a correlation, I think these findings are definitely worth further exploration. • In his book Faith of the Fatherless, psychologist Paul Vitz of New York University showed that many well-known atheists through history — including Friedrich Nietzsche, David Hume, Bertrand Russell, Jean-Paul Sartre, Albert Camus, Arthur Schopenhauser, Ludwig Feuerbach, Baron D’Holbach, Volatire, H.G. Wells, Madalyn Murray O’Hair, and others — felt abandoned or deeply disappointed with their fathers. This entry was posted in Family and tagged father, generation, son on February 26, 2015 by Mason Barge. News of the forum/blog is exciting. Looking forward to interacting with everyone.